If you’re familiar with Vermont culture, you may have heard of Jay Peak, located between the Village of Jay and Montgomery Center. Not only is Jay Peak known for the most snow-fall of any other resort in New England, but it’s been undergoing a complete renovation. The purpose of this renovation has been to adapt to the ever-evolving demands of the mountain culture. Since 2010, the resort has undergone an almost completely unrecognizable face-lift. The new and improved Jay is a 4-season adventure-land, a family retreat not worth ignoring! If you have a whimsical spirit and an adventurous attitude, there’s no better place to explore than this year-round playground in the green mountains. Let’s start at the beginning and paint the picture. 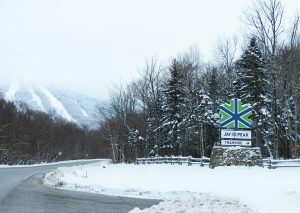 Jay Peak opened for skiing in 1957, and since then, has become one of the top ski spots in the nation. The resort offers a mix of beginner and advanced hills, so no matter your level, there’s a comfortable slope for you to ride, whether you prefer skiing or snowboarding. As a matter of fact, the mountain has the most beginner and intermediate tree skiing in the East. Beginners may find that “The Zone” is their spot of choice, with over 80 acres of gentle terrain and introductory glades; makes a prime location for learning and having fun without any pressure from more advanced skiers. More advanced sportsmen have a wide array of trails to choose from – there are 78 total -along with 9 lifts to cart you to the top with ease. Whether you’re young or old, Canadian or American, novice or expert, there’s a place for you on the mountains of Jay. Over the past decade, Jay Peak resort has been changing significantly. The choices were limited – either adapt or face a landslide and be forced to shut it’s doors. There was a necessity to transform the mountain into an all-season attraction. Thus, a $13 million renovation began to take form. The improvements ranged from creating an indoor ice arena, called the Ice Haus, to a new parking garage, championship golf course, enclosed beginners lift, and new ticketing system. 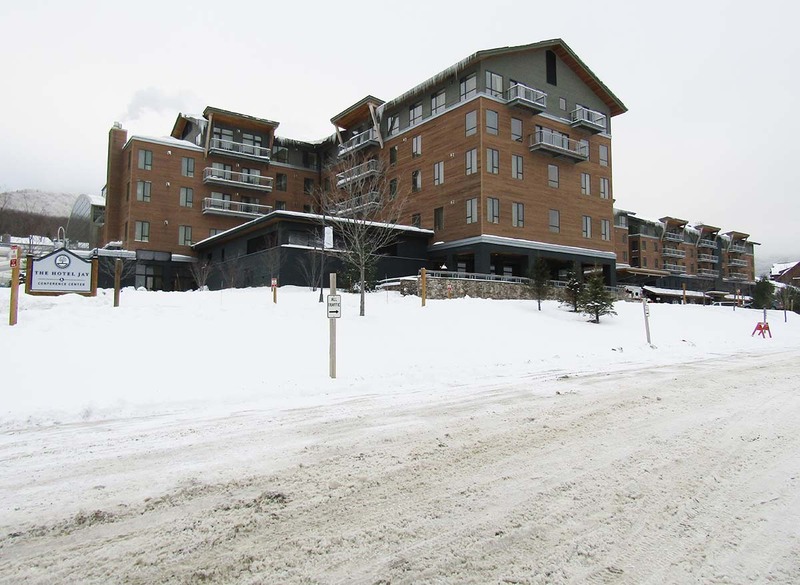 In addition, the old Hotel Jay has been replaced with a magnificent 176-unit structure¹, which includes a grand conference room, multiple offices, free wifi, relaxing spa, outdoor hot tub, fitness center, Pump House indoor water park, bar, and dining options. With this much excitement at every corner, there is little chance you’ll experience boredom while vacationing at any time of year. 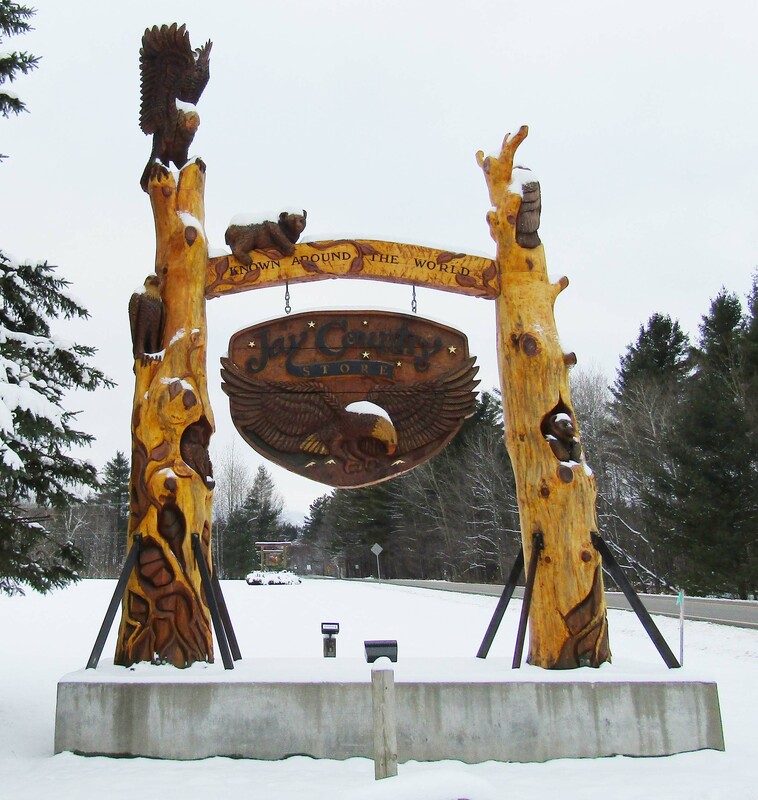 If you’re not a local to Northern Vermont, you’ll find there are a number of close-by accommodations, both on and off the resort. There are plentiful bed-and-breakfast and Airbnb options in the small towns surrounding the summit that have that same majestic vibe you feel at the resort – Richford, Berkshire, Enosburg, Montgomery, and Jay – to name a few. From my experience, almost everyone in these towns are, sometimes unbelievably, welcoming, patient and helpful in the case you need advice or guidance. If you want to avoid the commute, there are a gargantuan selection of lodging choices on the resort itself. Two base lodges are located on the premises, a small lodge is at the summit where the aerial tram terminates, various hotel facilities are present throughout, and a large number of ski-in/ski-out condo units exist on the lower part of the mountain.² It’s unlikely that you’ll be disappointed with any lodging choice in our naturesque, and friendly Vermont towns. Wander down the road to the Jay Country Store for groceries, beverages, local information, and Vermont-made memorabilia. From the elaborate array of chiseled wood-art decorating the exterior to the moose-head hanging on the wall, you’ll experience that fuzzy feeling brought on by the charm of the country. The ambiance continues throughout the spacious shop, making it a warm, comfy environment to spend a little time shopping, eating, or just having a drink and taking a break during your trip thru town. You won’t be disappointed by the delicious food options in the deli. They have a variety of sandwiches, wraps, soups, and dinner choices. I personally tried both a sandwich and a wrap, and they were both quite impressive! Of course, for a more formal option, there is a restaurant and village inn right across the road, which has a similar atmosphere. Iv’e actually eaten here, as well, and it wouldn’t be right if I didn’t add that the rack of ribs is one of the most tasty things I’ve had on my travels thru Vermont. If you’re looking into being very close to the summit, but not right in the mix, this spot in Jay doesn’t seem like a bad choice, with both the country store, restaurant, and ski rentals within walking distance. Currently season passes are for sale at the resort and on the website. 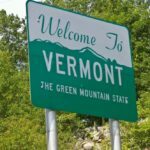 Furthermore, special rates are attainable for Vermonters, other mountain pass holders, and college students. Since Jay Peak is located only a few miles from the Canadian border, Canadian travelers are offered at par rates. With a state-of-the-art snow-making structure, the entire mountain can be almost entirely covered, regardless of low snow-fall. This year, the resort has already had abundant snow, and more slopes open by the day. 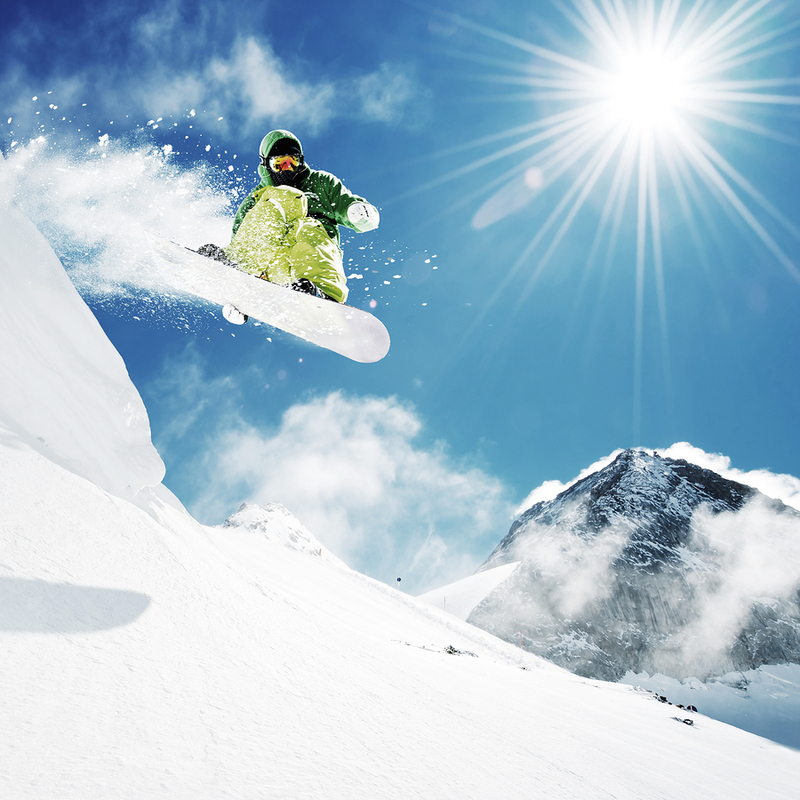 You can start booking your ski and ride classes for the winter season now. Be ready to bundle up, winter has arrived in Vermont! ²McLean, Dan (July 2, 2008), New Jay Peak owners plan $100 million in upgrades. Burlington Free Press. Jay Peak always take Canadian at par for Canadian friend and relatives who appreciate great snow views and great ambiance !! you have very interesting posts here. Your website deserves to go viral. Hi,I log on to your blog named “Jay Peak Resort – Sherwood Real Estate” daily.Your writing style is witty, keep it up! And you can look our website about تحميل اغانى. this article is in fact a good piece of writing, keep it up. I get them too, nothing you can do except move them to spam. Good luck! I surprise how much attempt you set to make one of these great informative website. web site, and post is genuinely fruitful in support of me, keep up posting such content. Furthermore, The contents are masterpiece. you’ve performed a wonderful task in this topic! Your style is so unique compared to other folks I’ve read stuff from. Thanks for posting when you’ve got the opportunity, Guess I’ll just bookmark this page. Good post. I learn something totally new and challenging on blogs I stumbleupon everyday. It’s always exciting to read content from other authors and practice something from their websites. Hello there! This post could not be written much better! Reading through this post reminds me of my previous roommate! He always kept talking about this. I most certainly will forward this article to him. Fairly certain he’s going to have a very good read. Thank you for sharing! I just want to say I am beginner to weblog and certainly savored this blog site. Most likely I’m likely to bookmark your blog post . You surely have terrific articles and reviews. Appreciate it for sharing your blog site. more attention. Ⅰ’ll prоbably be bacқ again to rеad thгough moгe, thanks for the infօrmation! I simply want to tell you that I am newbie to weblog and actually enjoyed your web site. Very likely I’m likely to bookmark your blog . You certainly have fabulous article content. Thanks a bunch for revealing your web site.